FiberTite sets the performance standard in roofing, offering a full line of accessories, membranes and systems. 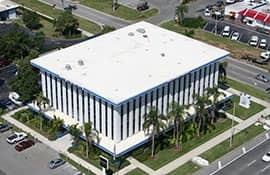 FiberTite roofing systems have been protecting buildings for over three decades and are tougher, lighter and more flexible than other roofing options. Hybrid: These multi-ply roofing systems combine our proven membranes with a FiberTite SBS Modified Bitumen base sheet. Green: Our energy-efficient roofing systems provide a beautiful look and tremendous environmental benefits. Simulated Metal: Get the look of metal and the protection of FiberTite with a simulated metal roofing system. Mechanically Attached: Mechanically attached roofing systems work well in places where high wind uplift performance is required. 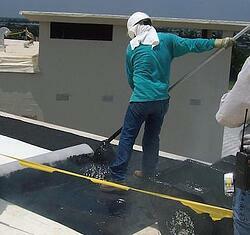 Adhered: An adhered roofing system essentially involves a roof being glued to the surface beneath it. Induction Welded: FiberTite’s four-layer engineering coupled with an innovative induction welding system is the toughest roofing adhesion combination in the industry. Ballast: A ballasted roof system is a compelling option for increased resistance to UV rays and fire damage. To learn more about our roofing systems, or to speak with one of our experts about which system is right for your application, contact us today.